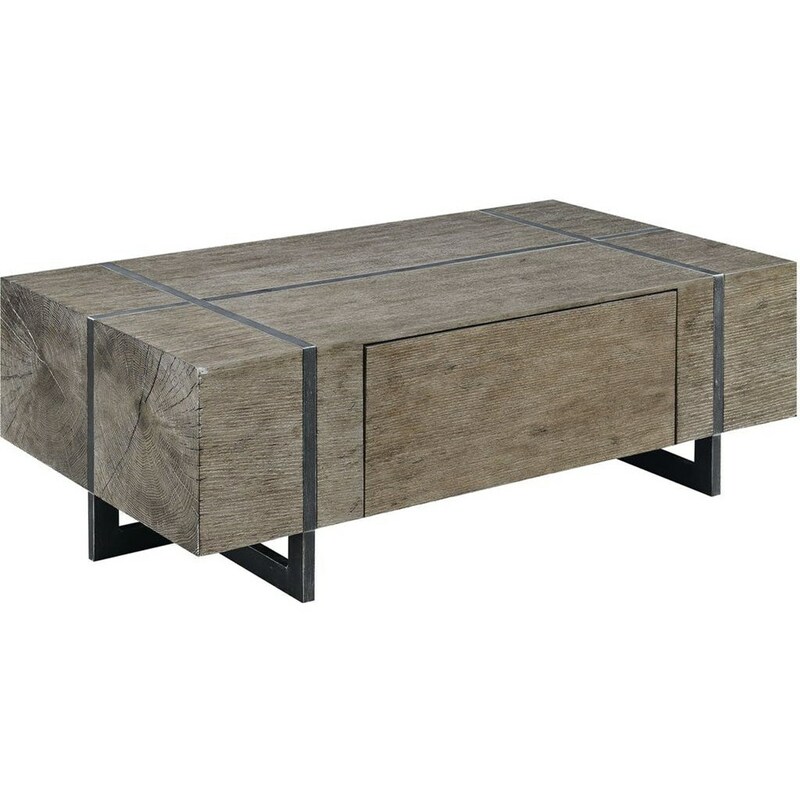 Blending modern and rustic design, this coffee table will make an excellent sitting area centerpiece with impeccable style and convenient storage. The table has a rough-hewn appearance and a beautiful inlay design that continues through to the legs. A hidden drawer provides the perfect place to stash the remote or a box of tissues. The Bryson Modern Coffee Table with Drawer by Elements International at Great American Home Store in the Memphis, TN, Southaven, MS area. Product availability may vary. Contact us for the most current availability on this product.